NEW DELHI: Interim Budget 2019 announcements aimed largely at wooing the middle class and farmers set auto, real estate and FMCG stocks on fire on Friday. Here is how the Budget announcements are going to have an impact across sectors. Income-tax sops give FMCG, consumer stocks a lift:The Finance Minister proposed no tax on incomes up to Rs 5 lakh, increased standard deduction from Rs 40,000 to Rs 50,000; hiked gratuity limit to Rs 30 lakh and increased rebate on home rent up from Rs 1.8 lakh to Rs 2.4 lakh. Analysts said the Budget announcements could be a trend-changing moment for the consumption story. Shares of Hero MotoCorpNSE 7.39 %, Maruti Suzuki and Bajaj AutoNSE 1.89 % and M&M rallied up to 7.47 per cent. Hindustan UnileverNSE 2.04 % and ITC also gained up to 1.8 per cent. The Interim Budget-2019 has proved to be Godly Budget for the Indian middle class. This section has got more than they had even anticipated with block-buster tax reduction announcements. This can trigger a wave of consumption with increased demand for cars, FMCG, housing and building materials. It’s a great effort from Finance Minister to balance prudence and populism,” said Jagannadham Thunuguntla, Senior VP and Head of Research (Wealth), Centrum Broking. Real estate, HFCs get a boost: The real estate sector has also been given an impetus by extending tax holiday for affordable housing, axing tax on notional rent on unsold inventory and allowing rollover of capital gains benefit to two houses. “This will go a long way in meeting the government aim of providing housing for all by 2020,’’ said Maulik Doshi, Senior Executive Director – Transfer Pricing and Transaction Advisory Services SKP Business Consulting. That said, not all analysts are that optimistic. Extending the time limit for completing affordable housing projects to earn a tax holiday under 80IBA will provide some breather to some projects, which have struggled for various reasons, said Partho Dasgupta, Partner/ Tax & Regulatory Services, BDO India. Kotadia, though, believes the capital gains exemption on sale of one house property extended to two is not that beneficial, given the prevailing property prices. Agri, fertiliser may see higher demand: FM on Friday proposed to spend Rs 75,000 crore on farmer support. He proposed Rs 20,000 crore for farmer support in FY19 itself. This should be positive for agri-commodity and stocks. 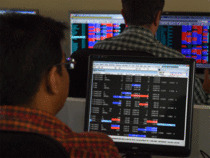 “This is likely to give a big boost to rural consumption again with positive implications for sectors like tractors, hybrid seeds, agri inputs, two wheelers, consumer goods,” said Amarjeet Maurya, AVP for Mid Caps at Angel Broking. To provide assured income support for small and marginal farmers, FM announced Pradhan Mantri Kisan Samman Nidhi scheme . The proposed Kisan Scheme will transfer Rs 6,000 per year to small farmers having up to 2 hectare of lands. No big bounty for defence-related firms: The government announced a defence budget of Rs 3 lakh crore for FY20. The announcement failed to boost defence-related stocks as the growth in budget allocation was less than 7.81 per cent of last year. The government has announced Rs 2.95 lakh crore allocation to defence sector for FY19. Bharat Electronics, L&T, Walchandnagar IndustriesNSE 1.38 %, Bharat Dynamics and Reliance Naval ended mixed. Defence stocks could gain up to 1 per cent . Logistics sector gets a leg up: The Finance Minister on Friday announced a 21 per cent jump allocation for the north-eastern region at Rs 58,166 crore, which may uncork the untapped logistical efficiencies of the region. “The Budget provides a wider blueprint of the government’s resolve to continue on the path of logistics sector empowerment with pro-industry measures like Ease of Doing Business and expediting inter-state freight movement through simplified e-way bills. Emphasis on inland water development is a welcome move. The tax sops will result in more disposable income. This will lead to more discretionary spending, boosting movement of goods and benefiting the overall logistics sector,” said Prakash Tulsiani, Executive Director & CEO – CFS & ICD, Allcargo Logistics. No further allocation to PSU banks announced: Public sector banks (PSBs) may require another Rs 50,000 crore fund infusion in 2019-20 to help enable credit growth of 11 per cent, SBI said in a report on Tuesday. But the FM did not announce further allocation for bank recapitalisation. He though noted that a close to Rs 3 lakh crore has already been recovered in favour of banks and creditors. Shares of Bank of India, PNB Canara Bank and Dena Bank slipped up to 7 per cent. “To restore the health of public sector banks, recapitalisation has been done with an investment of Rs 2.6 lakh crore. The amalgamation of PSU banks has also been done to reap the benefits of economies of scale, improved access to capital and to cover a larger geographical spread,” Goyal said. Railways’ allocation fails to lift stocks: Railway-linked stocks ended largely mixed as the FM announced overall capital expenditure programme of Rs 1,58,658 crore. The government had set railway expenditure of Rs 1.48 lakh crore in the previous financial year. Shares of Texmaco Rail fell 1.3 per cent while those Titagarh Wagons tanked 2 per cent. Analysts were expecting railway allocation to focus on modernisation like electrification of tracks and passenger safety. Rationalisation of inverted duty structure in the capital goods sector is needed to provide level playing field to the domestic industry. The FM, meanwhile, announced Rs 64,587 crore allocation for railways in FY20.